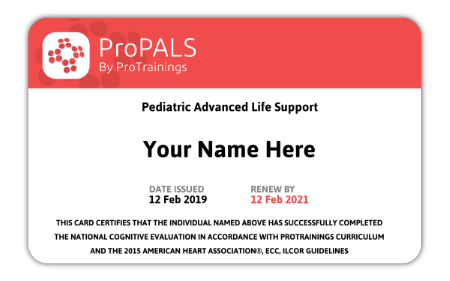 Convenient, Accredited PALS Training for Busy Healthcare Professionals. 4.5 Rating Based on 217 Reviews. Online PALS training isn't simply as good as classroom training. Many people find it to be better training. That's because you can pause and rewind the training if you missed something. And you're experiencing PALS training with an instructor on his very best day. It's like sitting in the front row of class with an instructor who teaches at exactly your pace. ProPALS is rated 4.5 out of 5 based on 217 ratings.